Legendary investor Warren Buffett talked up the U.S. economy Tuesday night, predicting the Dow Jones Industrial Average would be “over 1 million” in 100 years. Buffett, who was speaking in New York at an event marking the 100th anniversary of Forbes magazine, displayed his characteristic bullishness on America’s long-term prospects. “Whenever I hear people talk pessimistically about this country, I think they’re out of their mind,” he said. The 87-year-old chairman of Berkshire Hathaway is considered one of the most successful investors of all time. Since 1965, Buffett has transformed the company from a textile concern into a conglomerate that owns 90 other companies and has stakes in sectors like energy, real estate, finance and insurance. 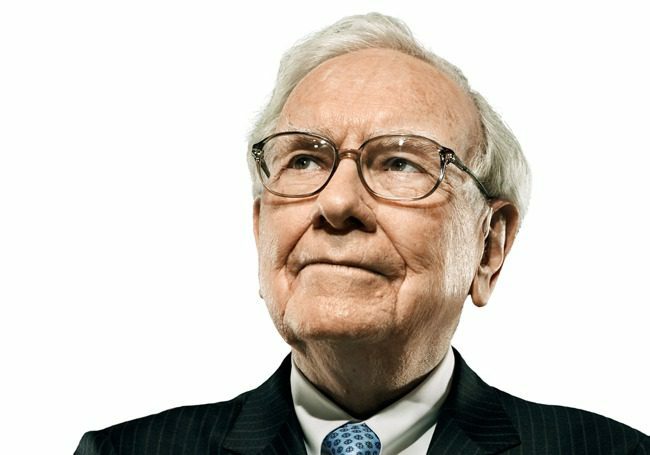 Buffett’s net worth of $78.8 billion puts him at No. 4 in the world. The Dow closed at 81 on the first day of its existence, just over 100 years ago. It closed at 22,370 on Tuesday and is up 23 percent this year. That represents an annualized growth rate of 9.1 percent over the last 115 years–which would get today’s Dow to 1 million in about 160 years.